We recently upgraded our bed to the softest, most amazing king size bed in the universe. We did this to accommodate those little humans that live in our house and keep sneaking their way in our world as we sleep. 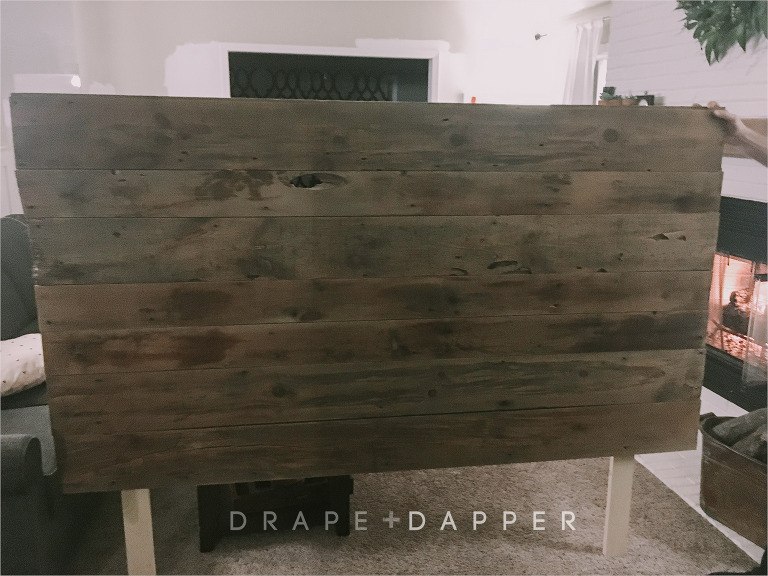 Because of the upgrade, we needed a new headboard and I was ready to tackle this job myself!! We have a one whole stall in our garage filled with old barnwood from my husbands grandparents barn. This was the perfect project to finally start using it! 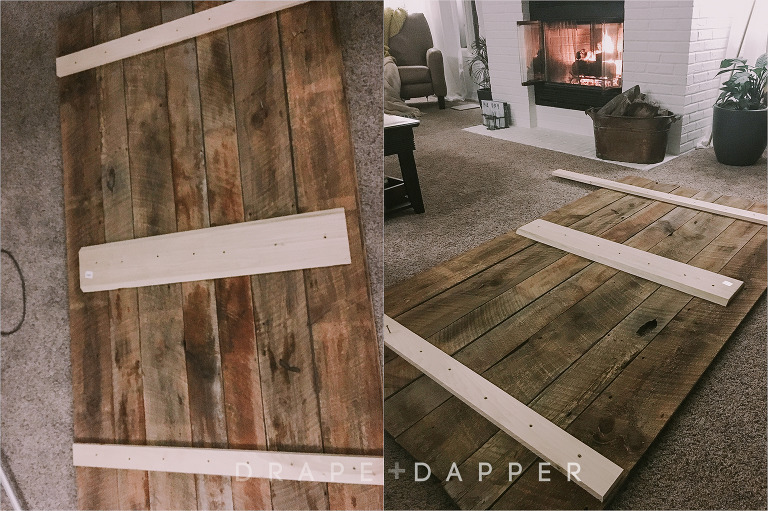 The first steps were to pick out the right pieces for the headboard. 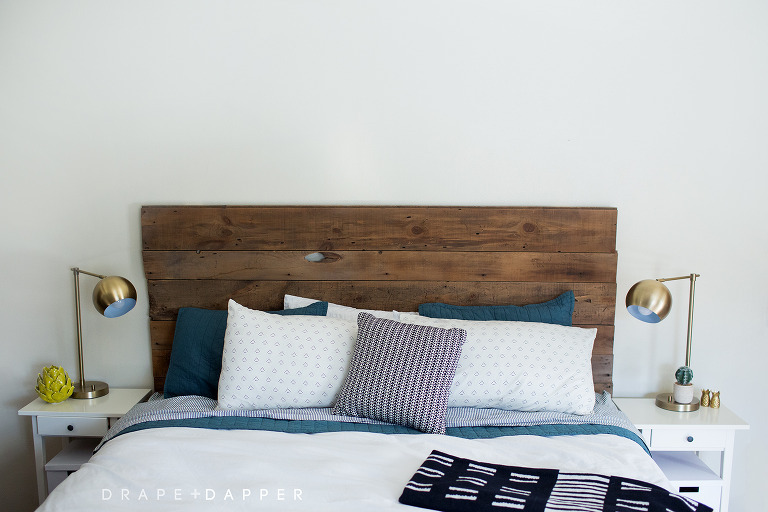 As much as I loved a polished look, this headboard was meant to be a little more rustic. I love knots and scratches because I find it adds character. King sized beds are giant. And I wanted this headboard to be a few inches on each side of the bed……so be sure to measure a couple of times! Sand each piece of wood, front + back. Lay out pieces on the floor to find the best look for the headboard. Once inside, we attached wood on the back with screws. 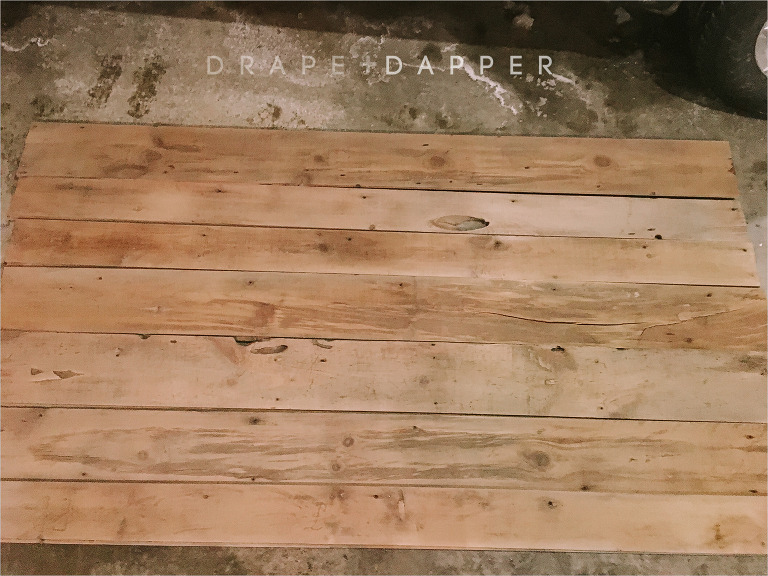 It was insanely simple and is THE perfect blend of modern + rustic. Best part of this bed makeover – the cost. You do not have to spend a crazy amount of money to give your room a different look. All in all this makeover cost about $300. We did a quick change of the bedding from something dark to all white linens with pops of color + pattern. White simple side tables from IKEA that hold these AMAZING gold lamps from Target Style. And headboard cost was ZERO. Yep. $0.